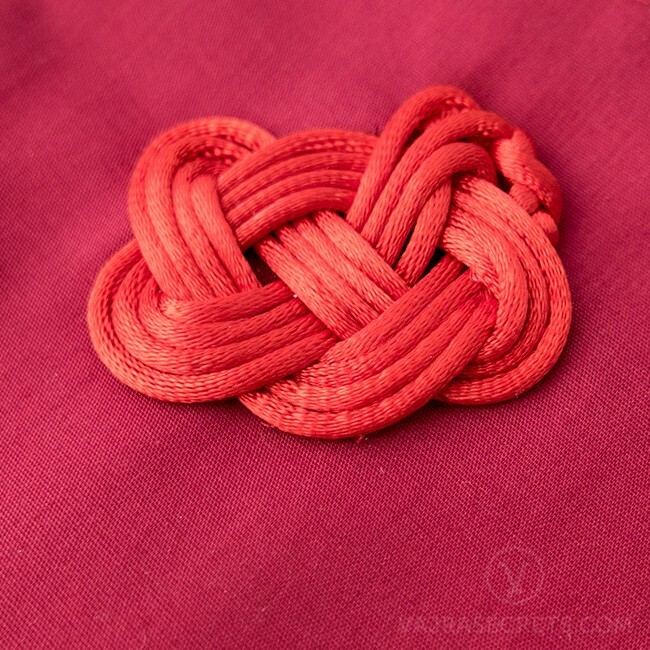 This handmade traditional Tibetan cloth wrap features an exclusive Josephine knot made with blessed Protector String, thus imbuing it with the Dharma Protector’s blessings of protection, healing, and positive energy. Suitable for respectfully wrapping and storing Tibetan scriptures, mandalas and other blessed objects. 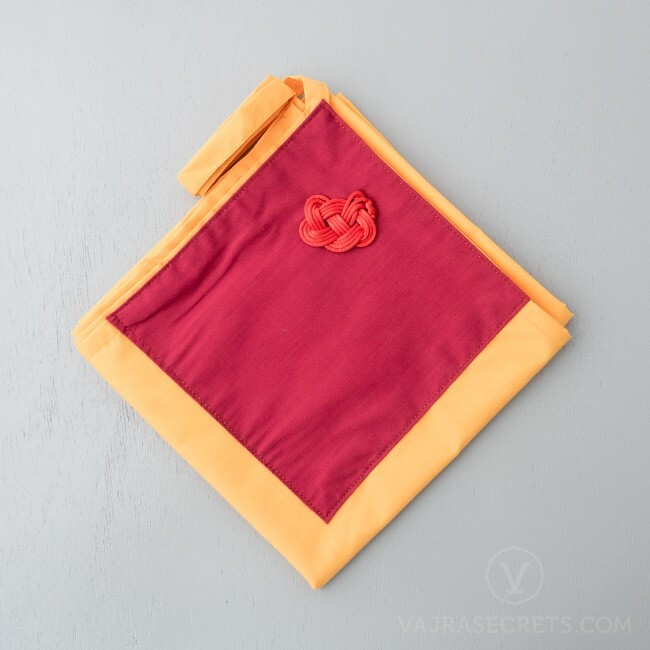 This handmade traditional Tibetan cloth wrap or “peri” features an exclusive Josephine knot made with blessed Protector String, thus imbuing it with the Dharma Protector’s blessings of protection, healing, and positive energy. This Blessed Cloth Wrap can be used for wrapping and storing Buddhist scriptures, mandala offering sets, books and other blessed objects. In the Tibetan Buddhist tradition, venerated objects are respectfully covered and protected from damage using such cloth wraps. If you are using this Blessed Cloth Wrap for a mandala offering set, place the cloth in your lap and the string around your neck from left to right when making mandala offerings. The mandala set and offering substances are then placed on the cloth in your lap. When not in use, wrap the mandala set and all offering substances neatly and stow away respectfully in a clean place.